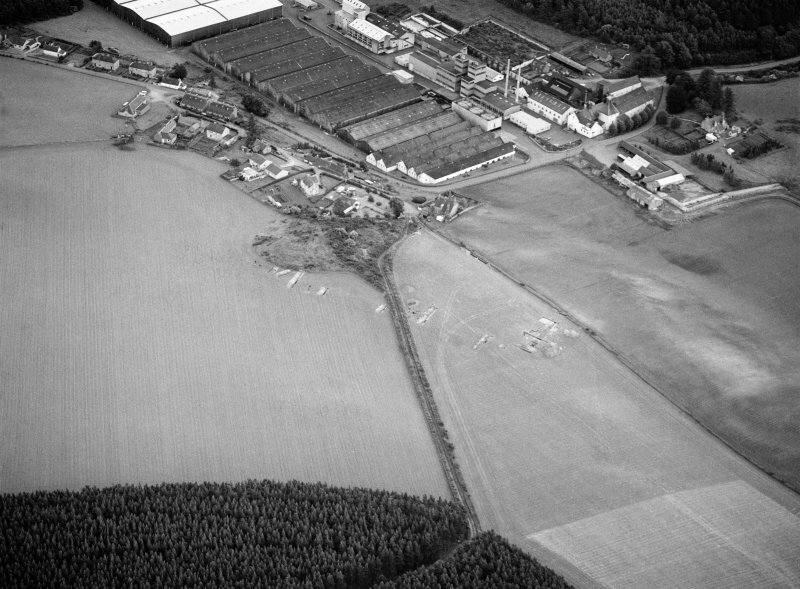 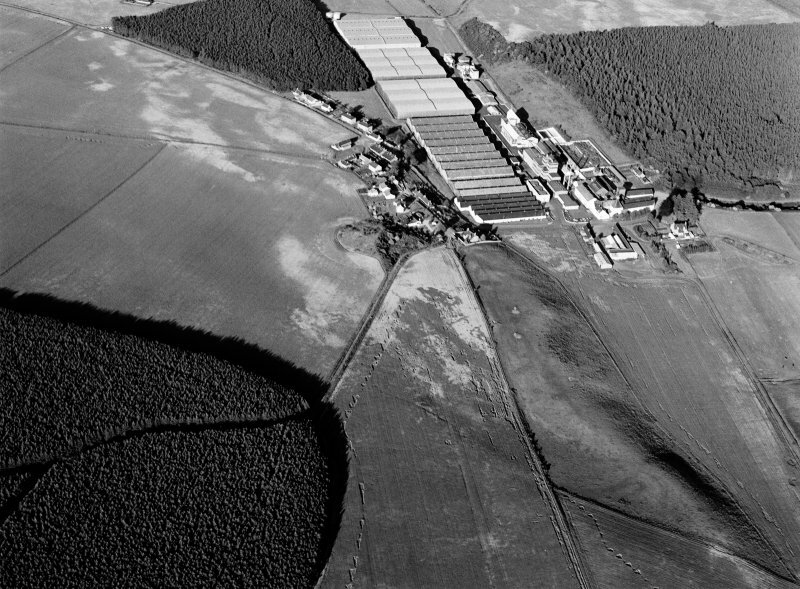 Oblique aerial view centred on the excavation of the earthwork and enclosure at Thomshill with Glenlossie distillery adjacent, looking to the ENE. 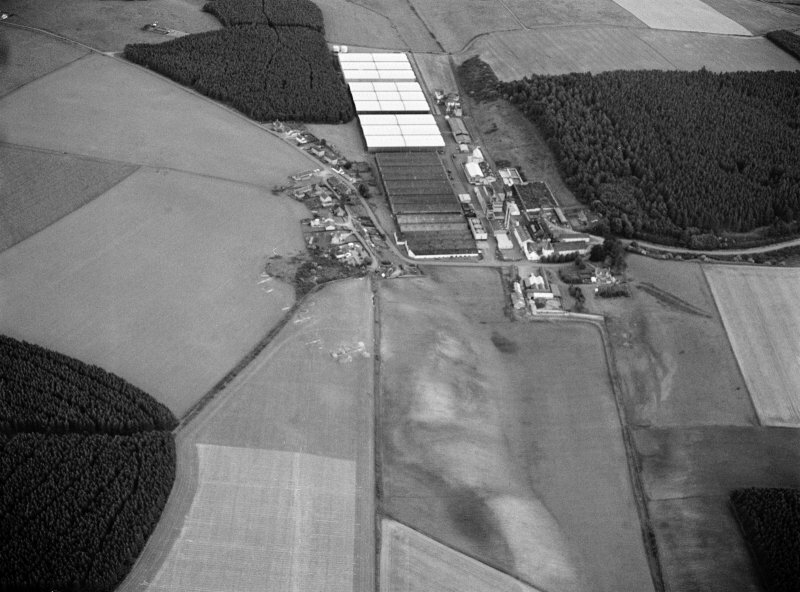 Oblique aerial view centred on the excavation of the earthwork and enclosure at Thomshill with Glenlossie distillery adjacent, looking to the ESE. 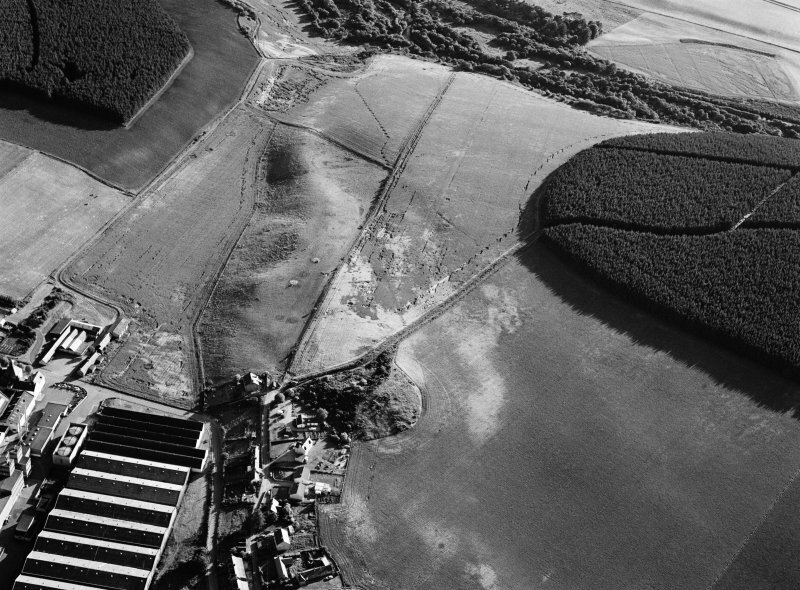 Oblique aerial view centred on the excavation of the earthwork and enclosure at Thomshill with Glenlossie distillery adjacent, looking to the NNW. 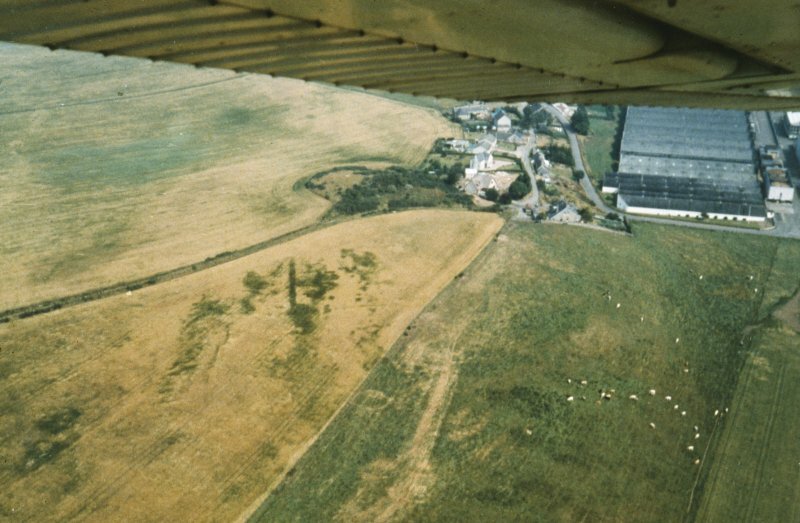 Oblique aerial view centred on the remains of the earthwork, cropmarks of a rectilinear enclosure and pits at Thomshill with the Glenlossie distillery adjacent, looking to the SW.
Oblique aerial view centred on the remains of the earthwork, cropmarks of a rectilinear enclosure and pits at Thomshill with the Glenlossie distillery adjacent, looking to the ENE. 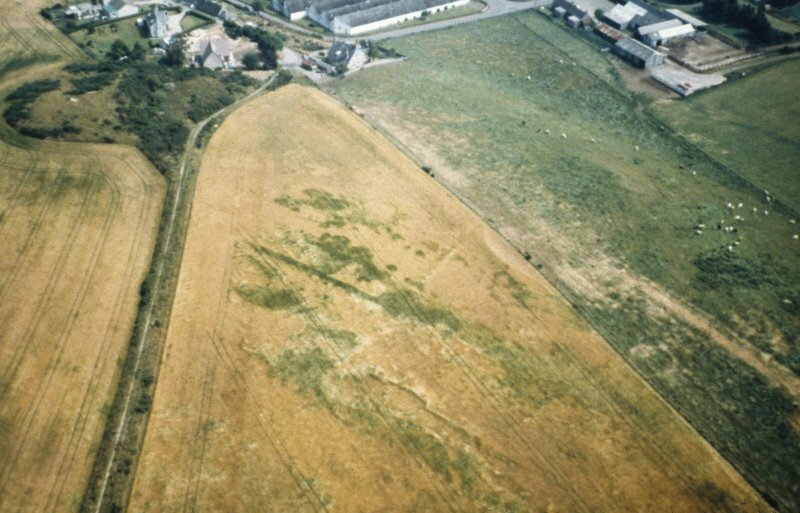 Excavation photograph: Trench 2, ditch section, looking W.
Oblique aerial view centred on the excavation of the earthwork and enclosure at Thomshill with Glenlossie distillery adjacent, looking to the NE. 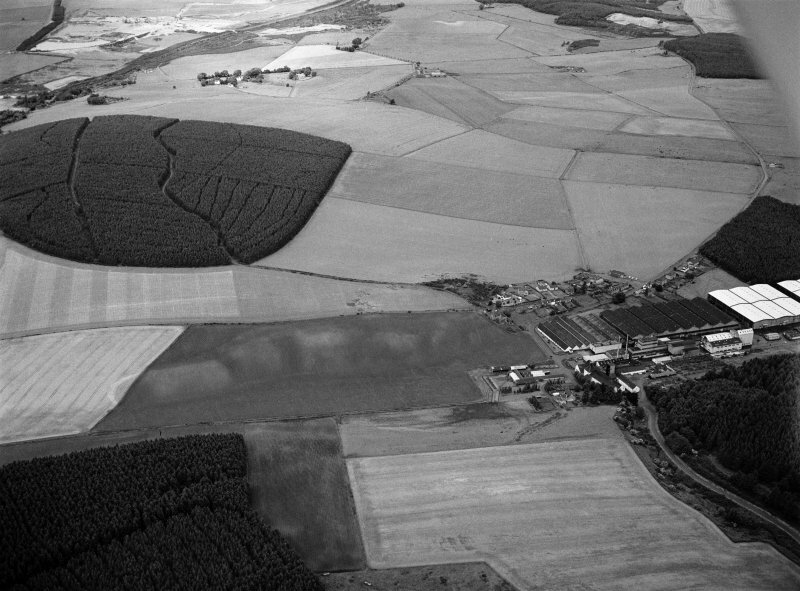 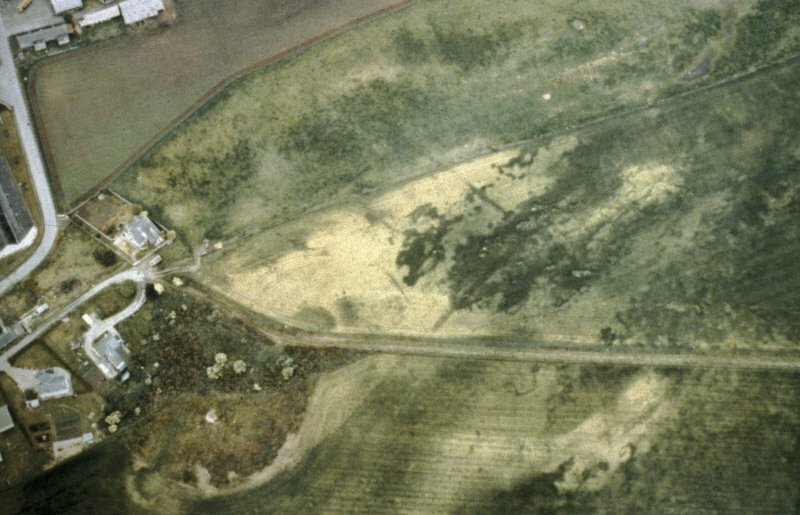 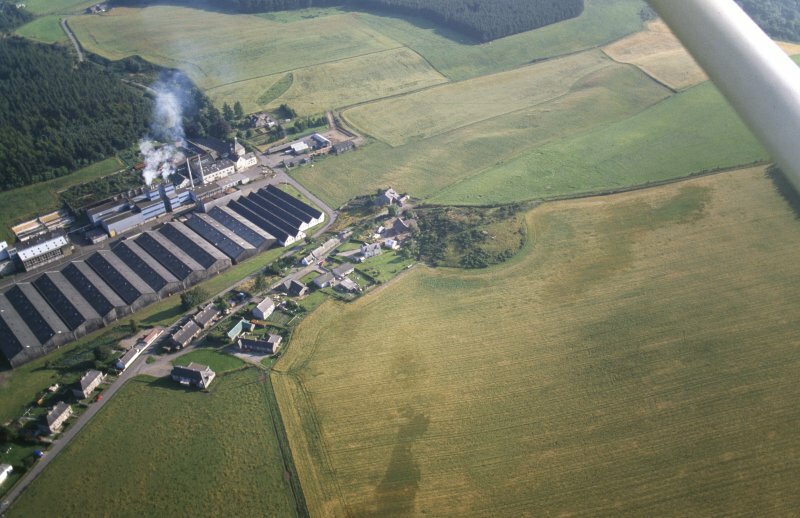 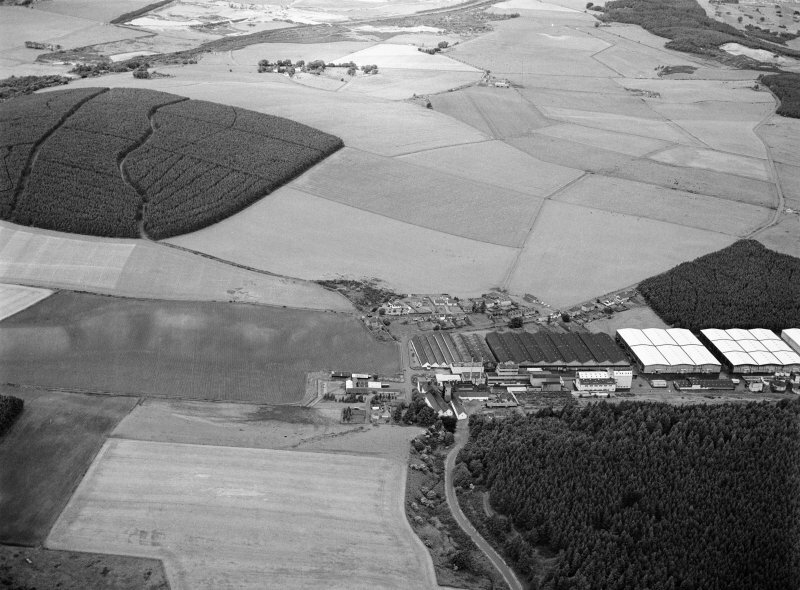 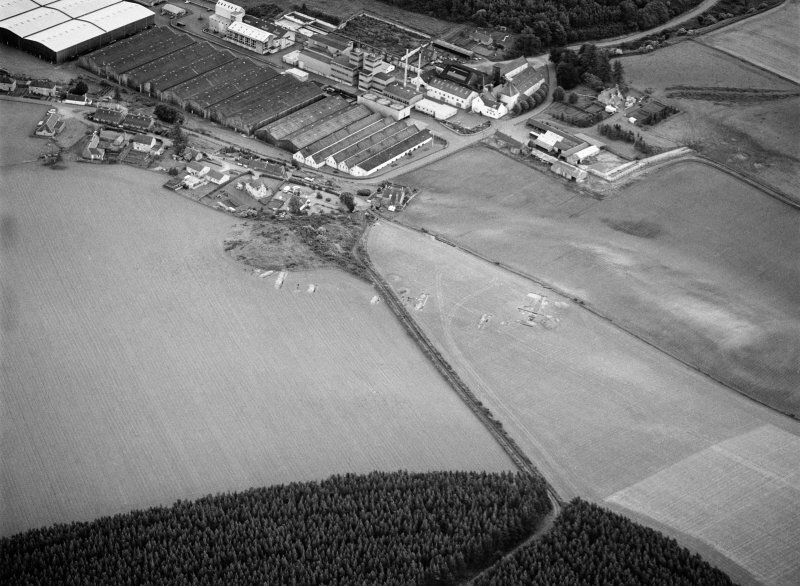 Oblique aerial view centred on the remains of the earthwork, cropmarks of a rectilinear enclosure and pits at Thomshill with the Glenlossie distillery adjacent, looking to the ESE. 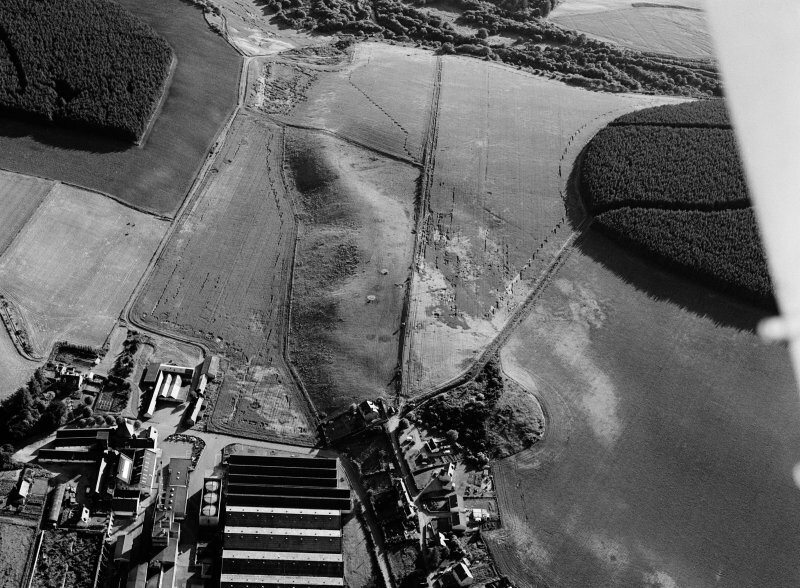 Oblique aerial view centred on the excavation of the earthwork and enclosure at Thomshill with Glenlossie distillery adjacent, looking to the E.
Oblique aerial view centred on the remains of the earthwork, cropmarks of a rectilinear enclosure and pits at Thomshill with the Glenlossie distillery adjacent, looking to the WSW. 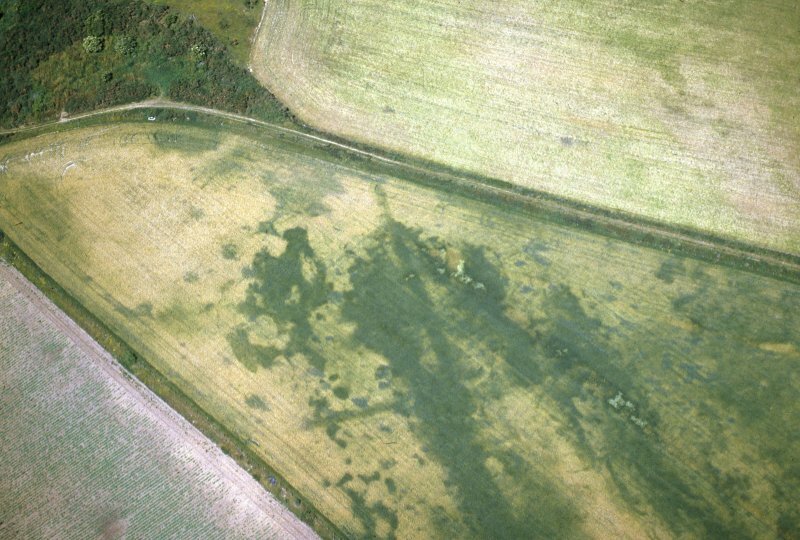 Oblique aerial view centred on the remains of an enclosure. 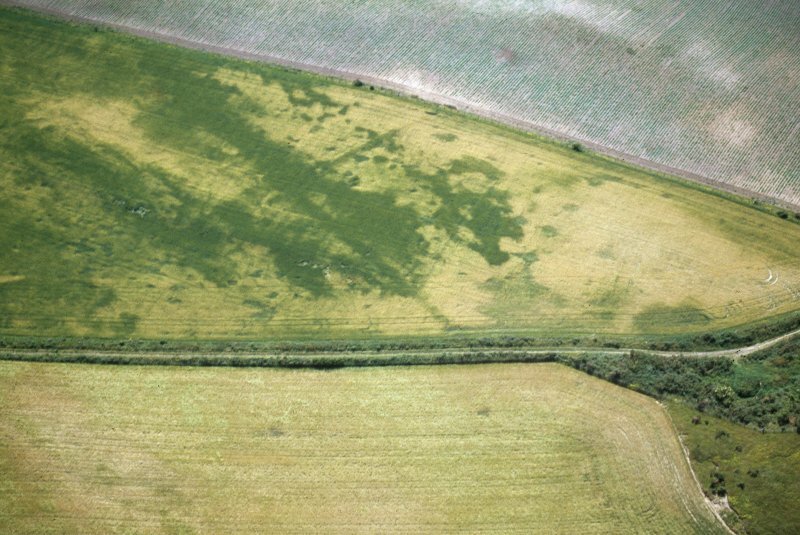 'The remains of rectangular trenches' said to be a Roman camp, but almost erased by cultivation. 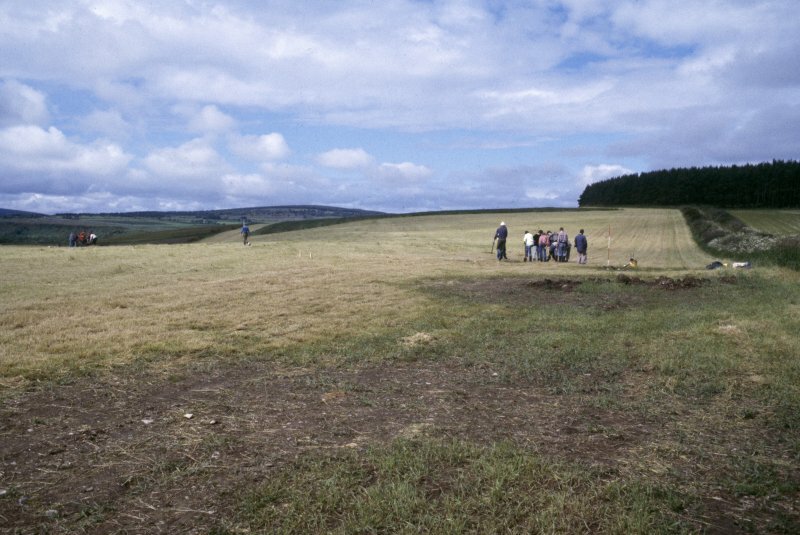 Two pieces of grey pottery with a black slip, possibly Italo-Greek of 4th century BC to 4th century AD (I Keillar 1969) are said to have been found on this site in 1846, and are now in Elgin Museum, donated by the finder Mr MacPherson, headmaster of Birnie School. 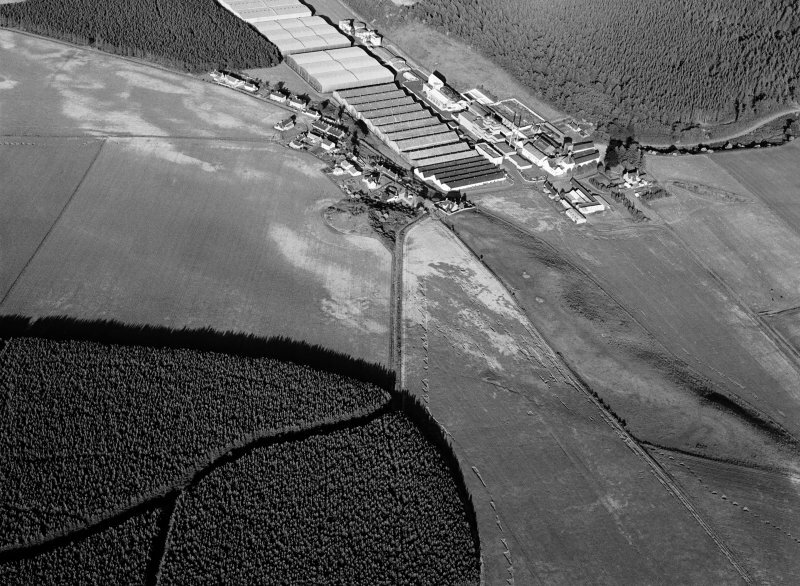 (See also NJ25NW 8). 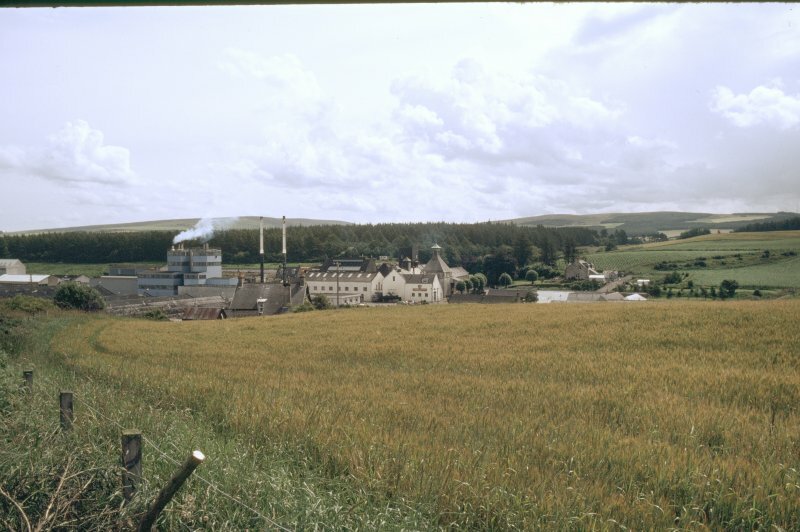 I Keillar 1969; Information contained in letters from I Keillar and from R Oddy, RMS, to OS, 28 November 1970 and 4 December 1970. 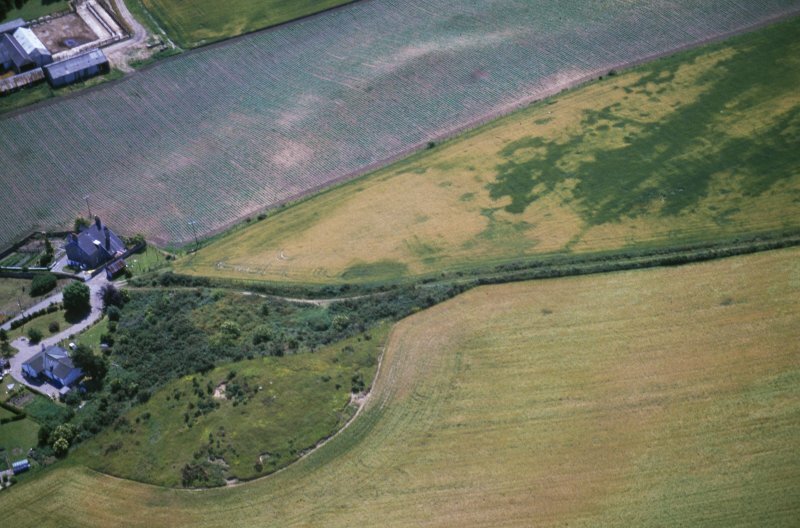 No trace: the site is the quarried S flank of a sandy hillock. 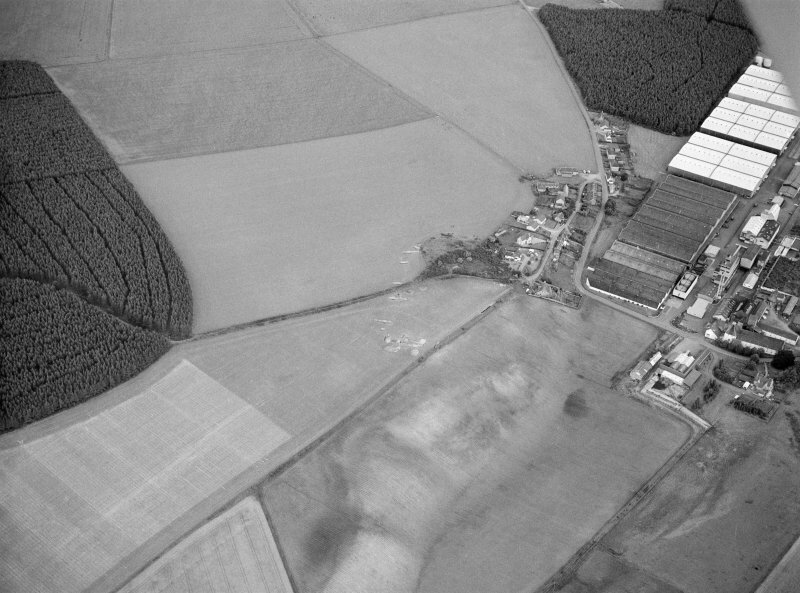 Keillar is now doubtful that the pottery came from here. 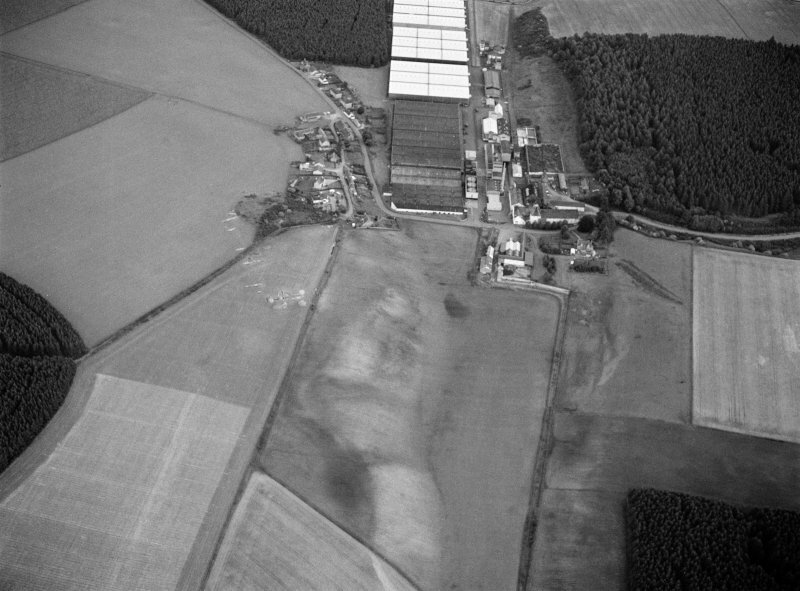 Visited by OS (R L) 15 April 1971. 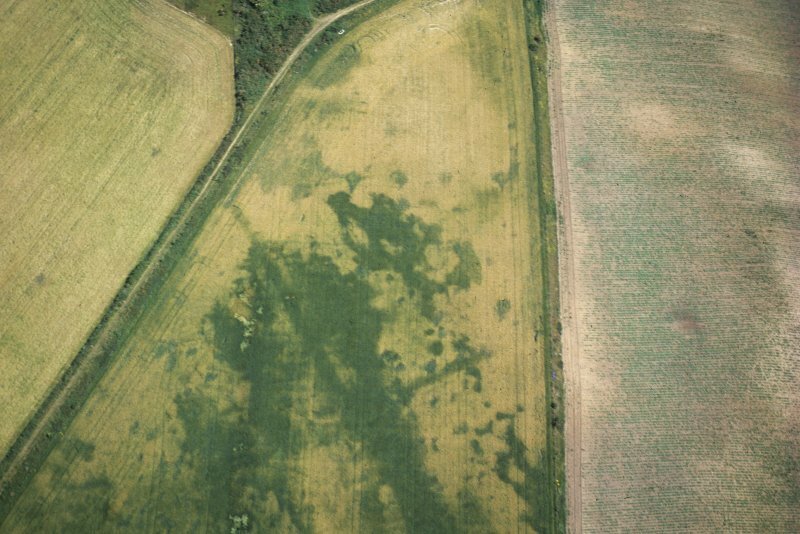 Though trenching by Daniels in 1988 failed to locate the N side of this earthwork, in 1990 a V-shaped ditch with well defined shovel slot was found to continue on N side, but eventually petered out due to effects of wind erosion. 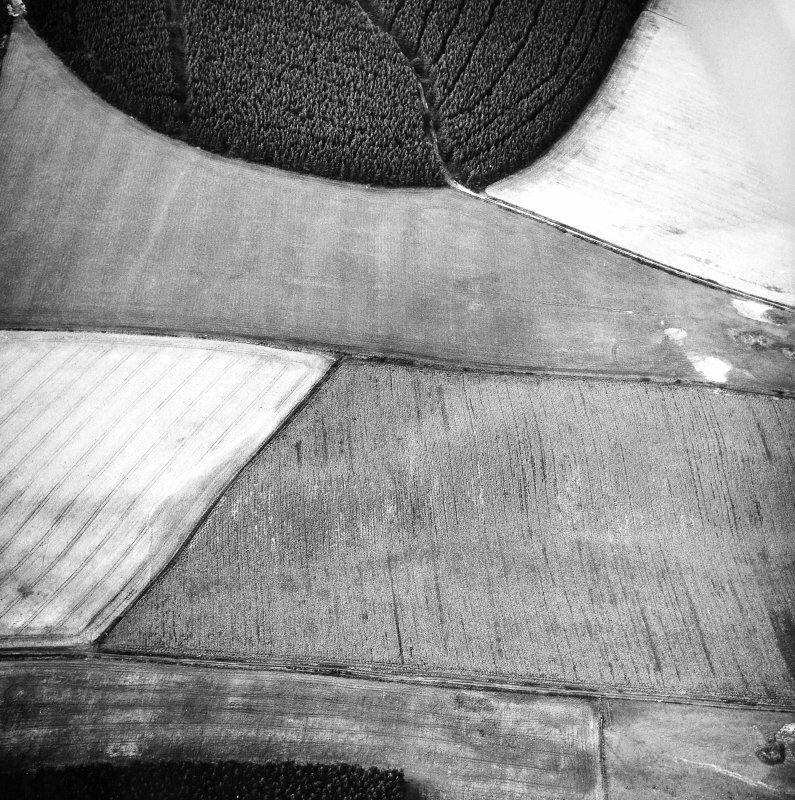 Clear evidence of turf lining on inner face. 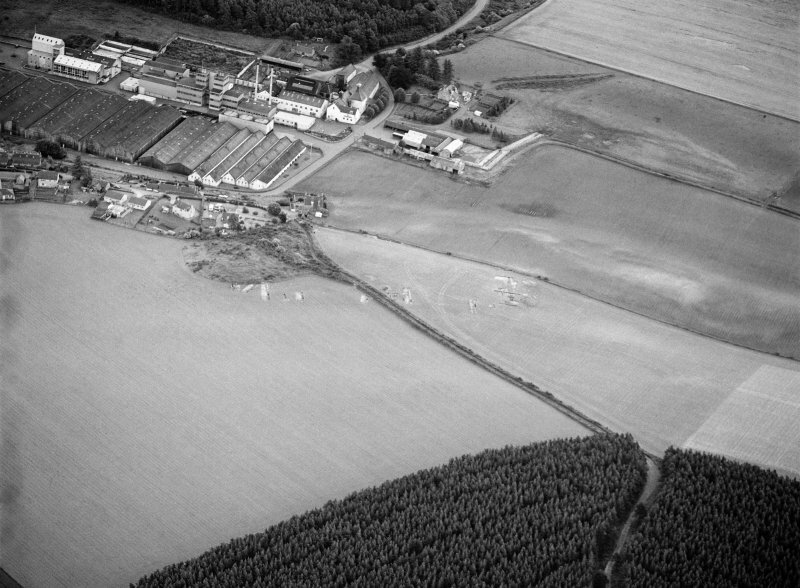 No artefacts or carbon found. 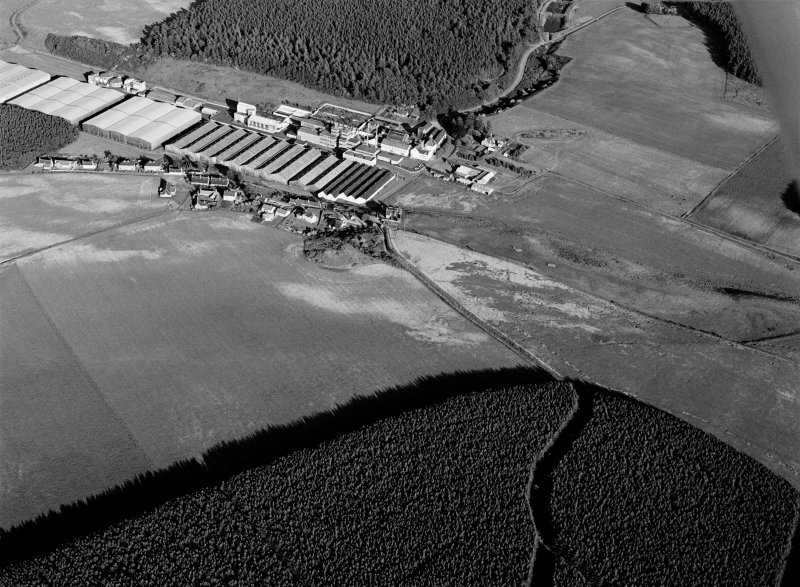 I Keillar 1988; C M Daniels and I Keillar 1990. 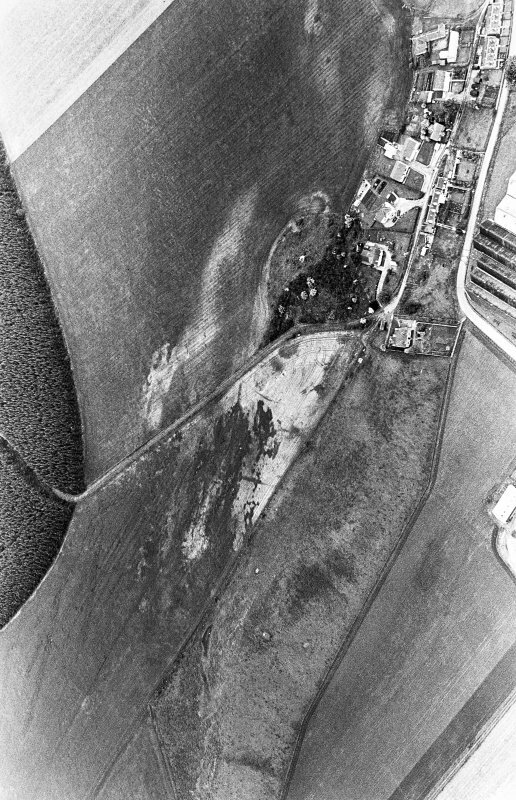 (Location cited as NJ 2104 5739). 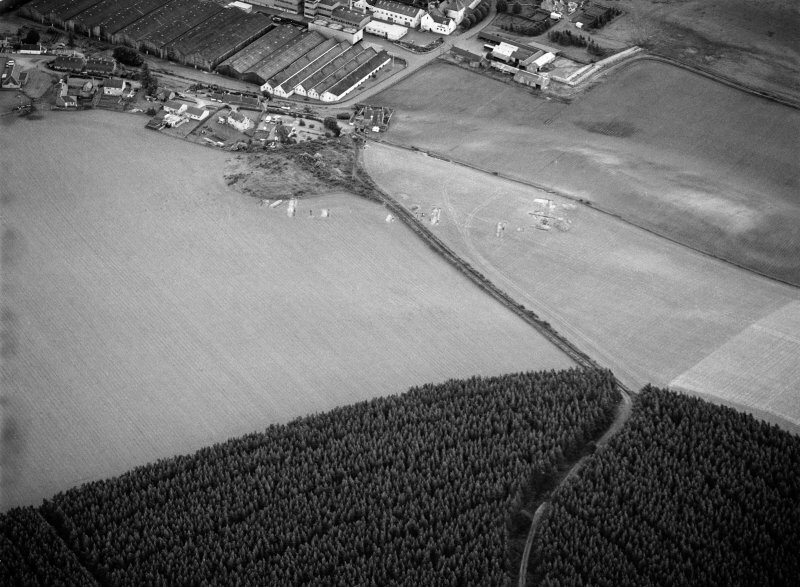 Air photography has recorded a rectilinear enclosure of area about 3.25ha on a gentle slope at an altitude of 72m OD. 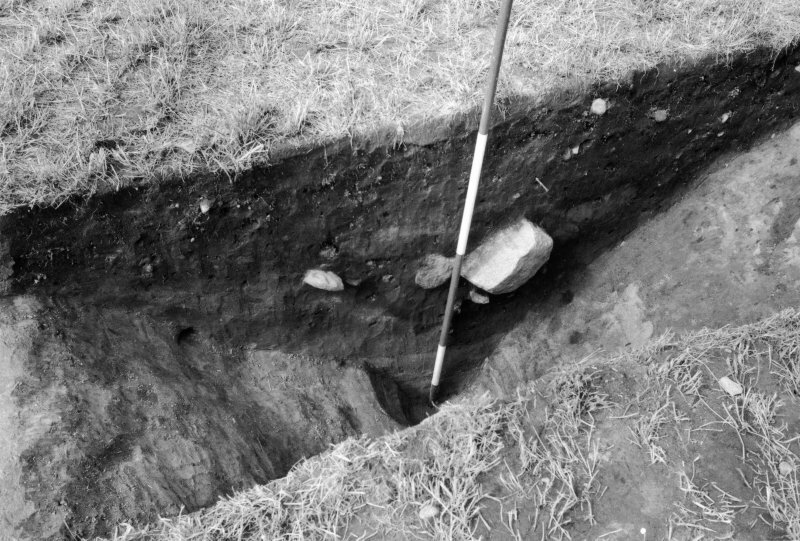 Excavation showed significant narrowing of the ditch at the putative gate but revealed no postholes. 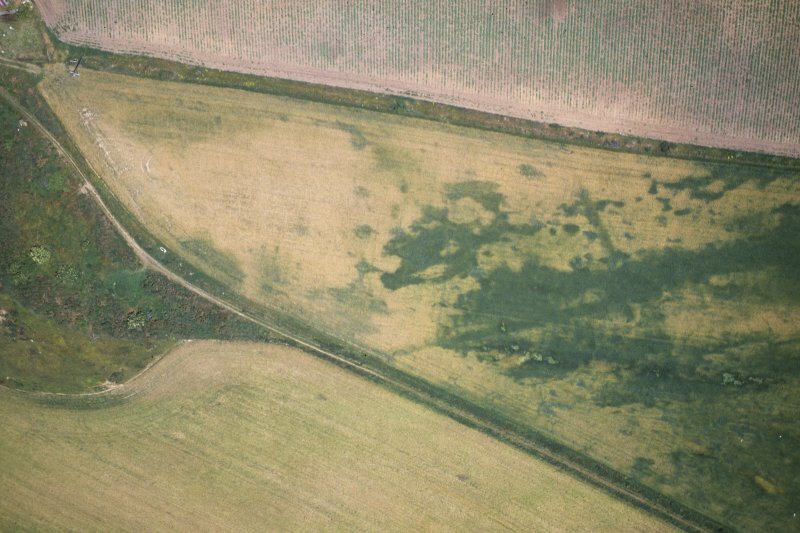 The ditch must have been about 5m broad elsewhere. 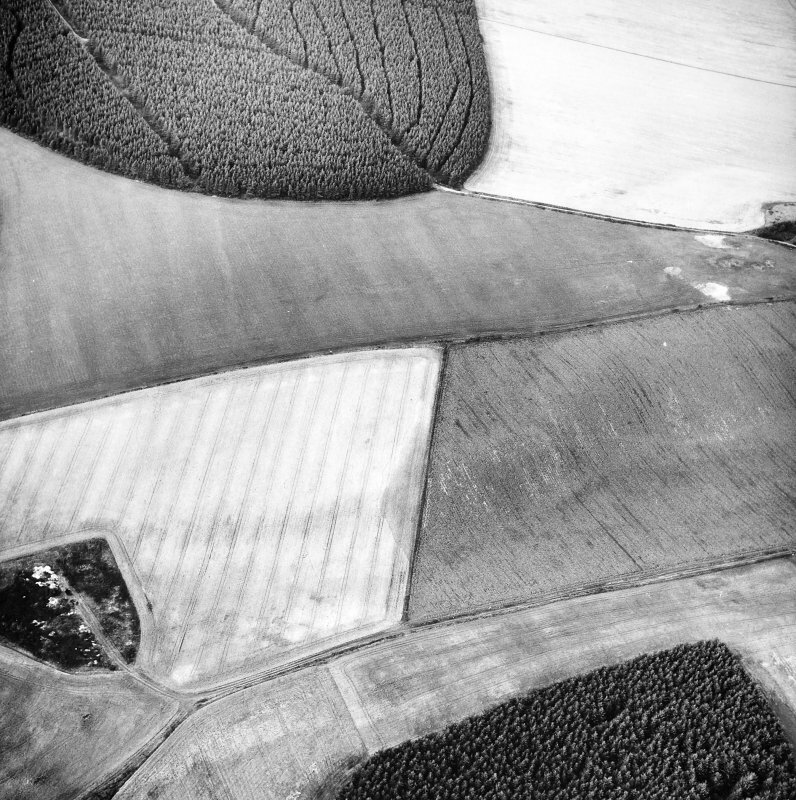 [Air photographic imagery listed]. 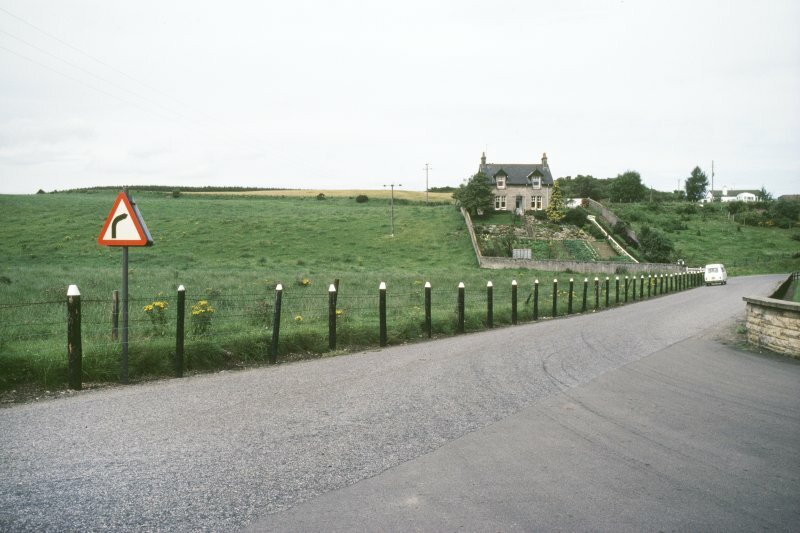 Manuscripts, slides, photographs and drawings from the Barri Jones collection pertaining to the enclosure at Thomshill. 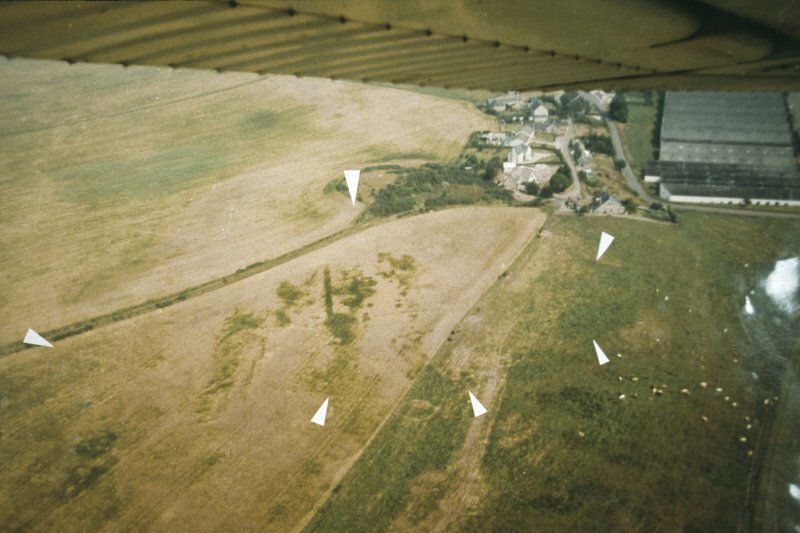 A total of 46 trenches were opened. 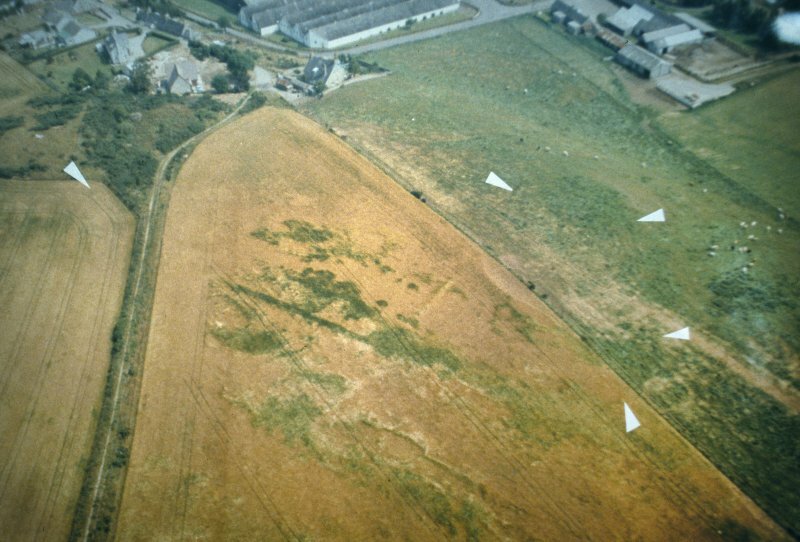 Manuscripts, slides, photographs and drawings from the Barri Jones collection pertaining to the excavation and gradiometry survey at the enclosure at Thomshill. 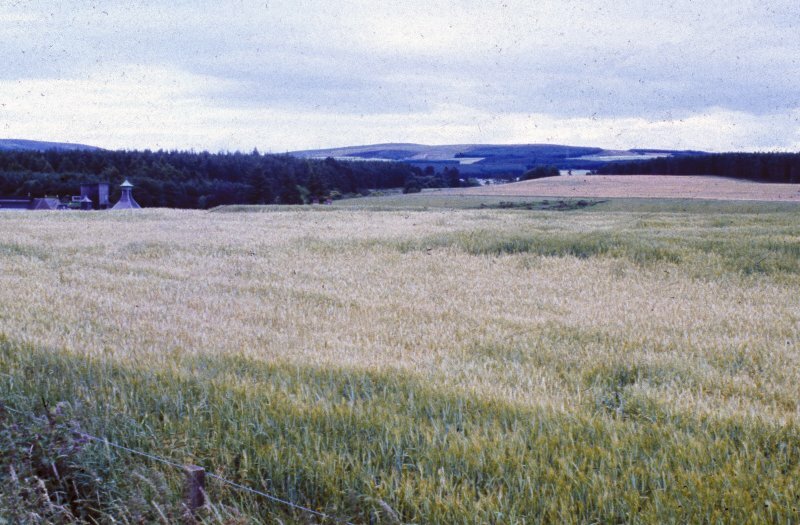 Gradiometry results for the enclosure at Thomshill. 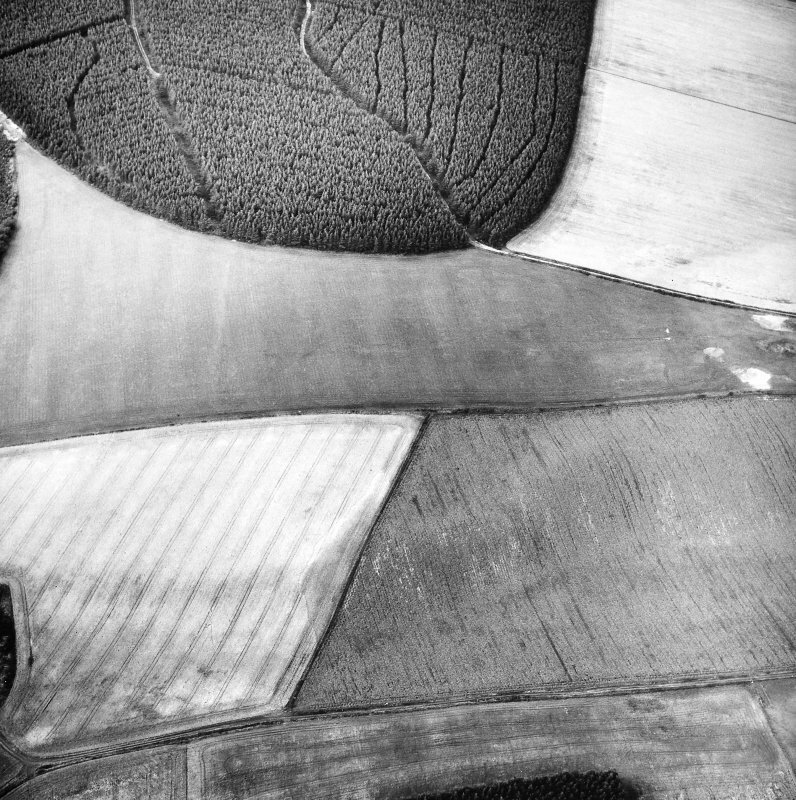 Included in the Barri Jones collection. 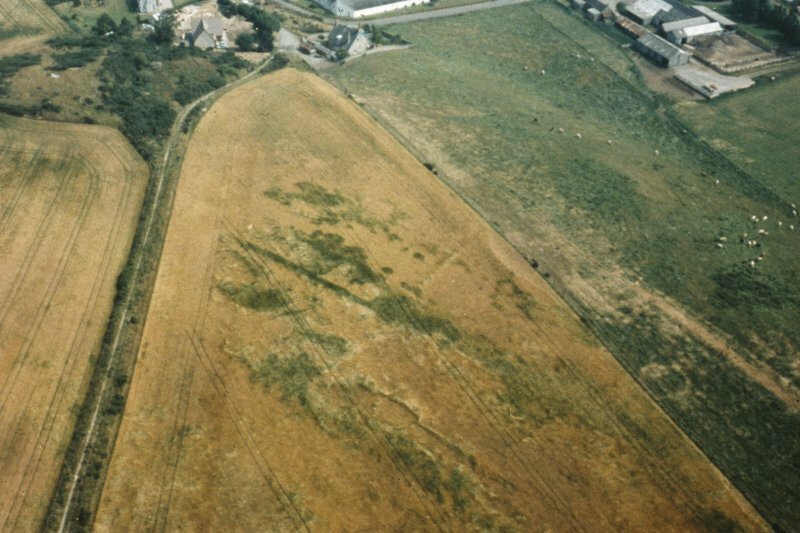 Trenching by Daniels in 1988 failed to locate the N side of this earthwork.